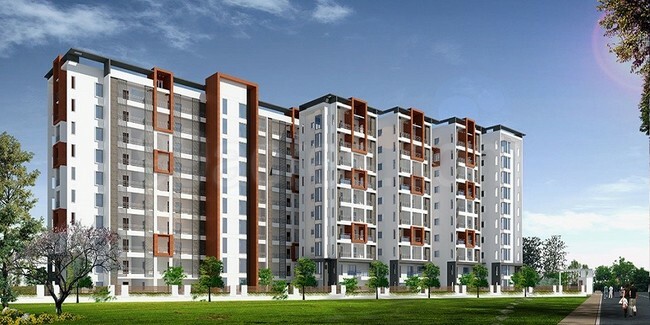 Details: The residential project is coming up at Kokapet, Hyderabad. The project offers 1 tower with G+9 floors, having 107 units of 2 & 3 BHK apartments. Apart from the basic amenities, the project offers community hall, sewage treatment, solar lighting, water softener plant, CCTV camera security, carrom, jogging track, swimming pool, rain water harvesting, etc.